A new multimedia exhibit in Winston-Salem, storytelling from the Jim Crow South in New Bern and a festival of African American music in Durham are just a few of the opportunities for family fun you’ll find this weekend with the N.C. Department of Cultural Resources. The weekend kicks off Thursday with two great programs for kids. The Southeastern Center for Contemporary Art (SECCA) in Winston-Salem will showcase art made by kids at a local children’s hospital and help kids make some art of their own on site, and the Museum of Albemarle in Elizabeth City will show Finding Nemo as part of its summer movies for kids series. Tryon Palace in New Bern will host African American storyteller Elisha Minter for an evening stories, photos and foot-stomping music from the Jim Crow era South. Friday will bring two great opportunities to see and explore the North Carolina coast. The N.C. Maritime Museum in Beaufort will offer take you aboard a Duke University research vessel to explore local marine life, while the N.C. Maritime Museum in Southport will host a sunset cruise focusing on the history of the region. Back in the Piedmont, the N.C. Museum of Art in Raleigh will show the critically-acclaimed film Her as SECCA in Winston-Salem opens a new multimedia exhibition that examines the concept of life in the art of Neil Goldberg. Saturday, the Maritime Museum in Southport will offer another installment of its popular bike tours that highlight the history of its hometown, while Historic Stagville in Durham will present live performances of gospel and blues music in the shadow of its picturesque historic buildings. Just down the road in Raleigh, the N.C. Museum of Art will offer free, interactive tours for families of the colorful prints in the Estampas de la raza and the children’s book illustrations in the Tall Tales and Huge Hearts exhibits. Later in the day, the Museum of Art will present a concert of Renaissance music and a performance by Grammy Award-winning children’s musician Dan Zanes. This weekend is your last chance to see Mail Call at Tryon Palace in New Bern. This unique exhibit from the Smithsonian showcases military mail and communications from the American Revolution to current conflicts in Iraq and Afghanistan. This weekend is also your last chance check out the American Dance Festival in Durham and the Eastern Music Festival in Greensboro. Both of these awe-inspiring annual events are featured on the N.C. Arts Council’s list of the Tar Heel State’s top summer performing arts experiences. Tryon Palace will come alive in the spirit of Jane Austen’s Regency era Saturday. A celebration of Jane Austen in New Bern, two rare opportunities to see the 13th Amendment in Edenton and Creswell and concerts and film screenings around the state are just a few of the opportunities for fun and discovery offered by the N.C. Department of Cultural Resources this weekend. The weekend gets off to a great start Thursday at Historic Edenton, where DCR will kick off its tour of the 13th amendment to celebrate Juneteenth. Stop by Edenton to see the document that formally ended legal slavery in this country. The Southeastern Center for Contemporary Art (SECCA) in Winston-Salem will host a book club discussion on Peter McGraw’s The Humor Code. Friday, the 13th Amendment will make its second stop at Somerset Place in Creswell, where it will be accompanied by a lecture on emancipation. The N.C. Symphony will play some of the most mesmerizing musical themes from movies like Star Trek, Superman and Harry Potter during its Summerfest tribute to John Williams in Cary, while the N.C. Museum of Art in Raleigh shows the poignant film Philomena to begin its summer movie series. Music and dancing will fill the Stanley House at Tryon Palace in New Bern as the site hosts a Regency style ball, while the N.C. Maritime Museum in Southport puts on a sunset cruise down the Cape Fear River highlighting the history around its hometown. 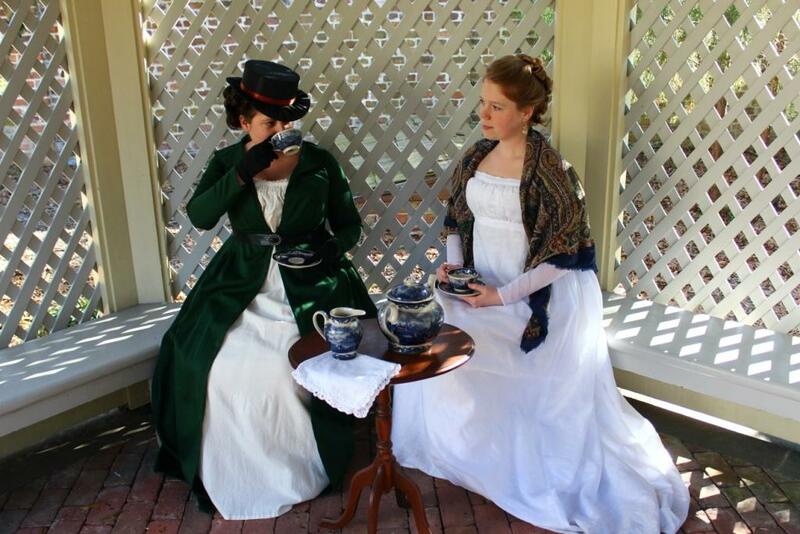 Jane Austen’s Regency Era will come alive Saturday at Tryon Palace, as the site offers special tea-themed tours of the Stanley House, high tea in the Commission House and period dance classes and crafts. Just down the road, Historic Bath will host WRAL’s documentary producer for a Q&A on two films he produced on hurricanes, while at the opposite end of the state, prolific writer and past state poet laureate Fred Chappell will present a lecture and book signing at the Thomas Wolfe Memorial in Asheville. In the Triangle, the N.C. Symphony will perform some of the best music of Broadway in Cary, while the N.C. Museum of Art screens the Oscar-winning thriller Captain Phillips. Town Creek Indian Mound in Mount Gilead will host a competition of the ancient game atlatl as part of World Atlatl Day. The weekend wraps up Sunday when The Gravy Boys’ smooth Americana sound will fill the auditorium at the N.C. Museum of History for a performance in Raleigh, while the N.C. Symphony plays a free concert of Beethoven’s famous and powerful 5th Symphony in Chapel Hill and SECCA joins presents free art making activities as part of Winston-Salem‘s Second Sundays on 4th series. Throughout the weekend, the N.C. Museum of Art will offer fun, interactive tours of its galleries and park for families. Check out our calendar for more information on these and other events, and a enjoy a great North Carolina weekend! A celebration of springtime on the farm in Pinnacle, an arts and history festival in Bath and the first in a series of readings by writers in Asheville are just a few of the opportunities for fun and learning you’ll find this weekend with the N.C. Department of Cultural Resources. 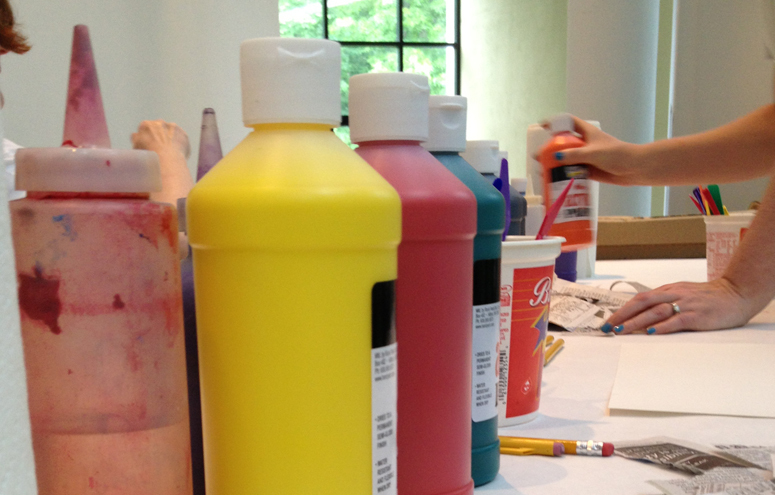 The weekend kicks off Thursday morning when the N.C. Museum of Art in Raleigh hosts preschoolers and parents for an exploration of movement in art with a tour and interactive craft. Across town, staff from the N.C. Museum of History will read kids a tall tale after taking a short tour of one of the museum’s galleries. In the evening, Aycock Birthplace in Fremont will screen the 1954 nautical classic Long John Silver, while New Bern’s Tryon Palace will present stories, music and poetry in the West African Griot tradition. Friday, the Southeastern Center for Contemporary Art in Winston-Salem will offer the chance to visit the museum late-night and see a “Cartoon Noir” film, while the N.C. Museum of Art in Raleigh will let visitors explore the galleries at night with jazz stylings of Sidecar Social Club in the background. Saturday, Historic Bath will offer craft vendors, music, food booths, free historic home tours, children’s activities (including a pirate costume contest!) and special genealogy project help as part of Bath Fest, and, as is traditional, the site will host the annual Cut-Throat Croquet Tournament to benefit scholarships at the same time. Elsewhere on the coast, the Battleship North Carolina in Wilmington will offer special tours that highlight the electrical, armor and other systems that made the ship work, while the Museum of the Albemarle in Elizabeth City will have hands-on activities, pony rides and the chance to see agriculture-related artifacts as part of its Potato Festival. In the Triangle, the N.C. Museum of History will help kids and families make World War II solider badges after visits to the museum’s military gallery and explore what foods made it from Lebanon to North Carolina and why, as part of the museum’s Cedars in the Pines exhibit. In the west, trucks from across history will take over the N.C. Transportation Museum in Spencer for an antique truck show, while basket making, children’s games, food and antique farm equipment displays will be just part of the fun at Horne Creek Farm’s Heritage Day in Pinnacle. Asheville‘s Thomas Wolfe Memorial will kick off its Writers at Wolfe series with a reading by nationally-acclaimed author Robert Morgan. The weekend wraps up Sunday with a concert by the Triangle Youth Jazz Ensemble at the N.C. Museum of History, and throughout the weekend, the N.C. Symphony will perform the music of Disney’s Fantasia in Raleigh as the film plays in the background. Check out our calendar for more on these and other events, and enjoy a great North Carolina weekend! You can also sign up on our website to receive information about our events in your inbox. Exploding mines and biological warfare demonstrations in Winnabow (don’t worry they’re safe! ), a Mother’s Day tea in Durham and family fun at the intersection of cartoons and art in Winston-Salem are just a few of the great North Carolina experiences you can have this weekend with the N.C. Department of Cultural Resources. Thursday, staff from the N.C. Museum of History in Raleigh will read kids a tall tale after taking a short tour of one of the museum’s wonderful galleries, while the James K. Polk Historic Site in Pineville will be filled with the sights and smells of early 19th century cooking, before the Museum of the Cape Fear in Fayetteville will present a talk on the fascinating life of Theophilus Hunter Holmes, a lesser-known North Carolina governor and Civil War general. Friday morning, the Museum of the Albemarle in Elizabeth City will continue its week-long celebration of Cinco de Mayo with a fun pinata and papier-mache making session for kids and parents, while in the evening, the N.C. Museum of Art in Raleigh will show the award-winning 90s thriller The Talented Mr. Ripley and give visitors the chance to explore the galleries at night with smooth flamenco sounds of Ed Stephenson and the Paco Band in the background. Saturday promises family fun around the state. In the west, the N.C. Transportation Museum in Spencer will celebrate National Train Day with special train rides to Salisbury, model train displays and more, while the Southeastern Center for Contemporary Art (SECCA) in Winston-Salem will mix art making with cartoons to create a good time for the entire family. 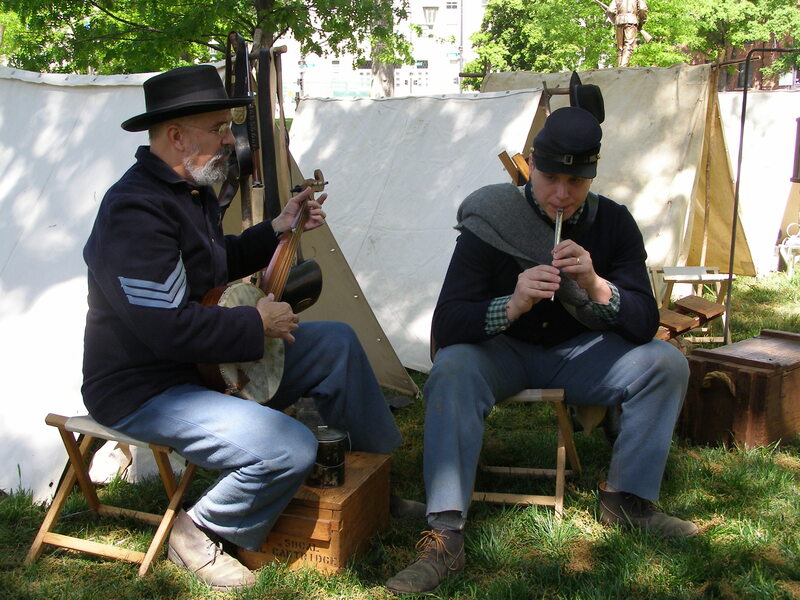 In the central part of the state, Bennett Place in Durham will explore how the Memorial Day holiday evolved with interpreters portraying Civil War soldiers and mourners. Down the road Historic Stagville will celebrate Mother’s Day with a high tea and narrative featuring stories of the women, both free and enslaved, that called Stagville home. Boy scouts will be the focus at Town Creek Indian Mound in Mount Gilead, where staff will tell the tales of Native Americans who lived at places similar to the site to help the scouts earn Indian Lore merit badges. On the coast, exploding mines and biological warfare will be just a few of the demonstrations done at Brunswick Town/Fort Anderson’s program on the fiendish plans of the Civil War in Winnabow. Historic Edenton will also invite the community to get historically fit with a yoga class on the lawn of the Chowan County Courthouse, while the Outer Banks History Center celebrates its 25th anniversary at Elizabethan Gardens. The weekend wraps up Sunday with an old-time clogging performance at the N.C. Museum of History and SECCA’s participation in a city-wide street festival in downtown Winston-Salem. The N.C. Symphony will perform concerts of music by creative genius Gustav Mahler throughout the weekend in Raleigh and Chapel Hill. Check out our calendar for more on these and other events, and a enjoy a great North Carolina weekend! If you know someone who’d like to receive these emails, they can sign up on our website. A Civil War encampment will take over of the lawn of the State Capitol Saturday. Come out and see what Raleigh was like under Union occupation in 1865! A view of Raleigh’s Union occupation during the Civil War at the State Capitol, a fierce battle between Cherokee warriors and frontier soldiers at Fort Dobbs and the opening of a new exhibition of Mexican American art at the N.C. Museum of Art are just a few of the opportunities for fun you can find this weekend with the N.C. Department of Cultural Resources. The weekend kicks off Thursday when staff at the N.C. Museum of History in Raleigh will read kids a tall tale after taking a short tour of one of the museum’s galleries and the sights and at the James K. Polk Historic Site in Pineville, enjoy the sights and smells of 19th century cooking in the air during tantalizing cooking demonstrations. On the coast, the N.C. Maritime Museum in Beaufort will host an informal, lunchtime chat all about bottlenose dolphins, while the Museum of Albemarle in Elizabeth City will teach kids about the history of kites and help them make their own kite-themed decoration. Friday, conservators at the N.C. Museum of History in Raleigh will offer advice on how to care for your treasured possessions, while explorers (age 6-10) can experience what it was like to be Mr. Hay’s apprentice in the 1800s during a hands-on program at Tryon Palace in New Bern and the N.C. Maritime Museum in Beaufort hosts a hike across the pristine Rachel Carson Reserve, known for its diverse coastal habitats. At the N.C. Museum of Art in Raleigh, visitors can explore the galleries at night against the backdrop of live music, explore images of Mary in the museum’s permenant collection with a knowledgeable docent or join the museum for a high-energy party celebrating the opening of the Estampas de la raza exhibition. Saturday will bring something for everyone with 13 different programs across the state. In the west, visitors can climb aboard antique tractors and other farm equipment or take a short train trip with the Easter Bunny at the N.C. Transportation Museum in Spencer. The Southeastern Center for Contemporary Art (SECCA) in Winston-Salem will celebrate Slow Art Day with classic cartoons and crafts for the entire family, while Cherokee warriors will clash with frontier militia during a living history program at Fort Dobbs in Statesville. In the central part of the state, dancers, a singer and a guitarist will explain flamenco through their performances at the N.C. Museum of History in Raleigh, while a Civil War-era troop encampment and character interpretations will recall the April 1865 Union occupation of the State Capitol across the street. Elsewhere in Raleigh, the State Library will providetips on researching African American ancestors, while the N.C. Museum of Art will presentart-making workshops, musical performances and more to celebrate the opening of theEstampas de la raza exhibition, chronicling contemporary Mexican American and Latino artists. In the east, Historic Halifax will celebrate the 238th anniversary of America’s first call for freedom with historic weapons demonstrations, a Brunswick stew cook-off and special tours, while Historic Bath will participate in a town-wide home and garden tour. More than 40 Tarheel potters will be displaying their wares at Tryon Palace in New Bern, while the N.C. Maritime Museum in Southport will offer candle dipping, colonial games, pirate flag painting and more as part of its annual Girl Scout day. A concert by Lebanese musicians Naji Hilal, Basil Samara and Christopher Saleh Sunday at the N.C. Museum of History in Raleigh closes out the weekend. Throughout the weekend, free garden admission and a heritage plant sale will be offered as part of Tryon Palace’s Garden Lovers’ Weekend in New Bern, and the N.C. Symphony will perform concerts with Broadway legend Patti LuPone in Raleigh. This weekend is also your first chance to check out a new exhibition of Mexican-American art at the N.C. Museum of Art in Raleigh. For more information on these and other events, please visit NCCulture.com. Enjoy a fun North Carolina weekend! 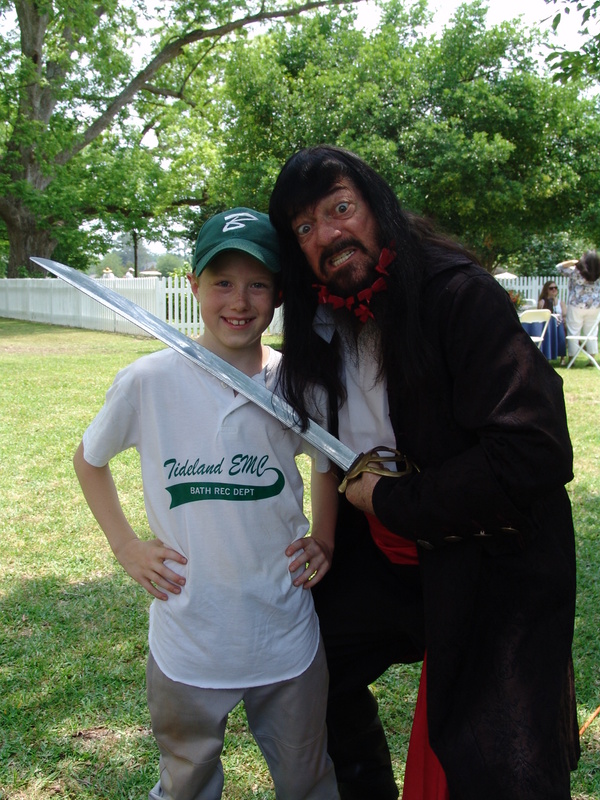 Pirates and gold panning in Midland, a new sculpture exhibition in Winston-Salem and outdoor cleanup at Civil War sites across the state are just a few of the opportunities for fun you can find this weekend with the N.C. Department of Cultural Resources. The weekend gets off to a busy start Friday, as SECCA hosts the RiverRun International Film Festival‘s opening night in Winston-Salem and the N.C. Museum of Art offers visitors the chance to explore its galleries at night against the backdrop of live music in Raleigh. Also Friday, the Museum of the Albemarle will show art created during its programs as part of Elizabeth City‘s First Friday Art Walk and DCR’s Office of Archives and History will sponsor lectures on the War of 1812 in Salisbury. Saturday, Reed Gold Mine in Midland will inspire you to learn about pirates and try your hand at panning for gold, while the N.C. Transportation Museum in Spencer will host a special day for Boy Scouts, complete with the chance to roam around inside a DC-3 and earn an Aviation Merit Badge. The N.C. Museum of History in Raleigh will give families the chance to make a critter-themed craft, while the N.C. Museum of Art in Raleigh screens a film on life of Cesar Chavez and Town Creek Indian Mound in Mount Gilead, one of the state’s best sites for stargazing, holds an astronomy program. Saturday is also Civil War Park Day, a national program aimed at preserving our nation’s Civil War sites. Bennett Place in Durham, Bentonville Battlefield in Four Oaks, Brunswick Town/Fort Anderson in Winnabow, Fort Fisher in Kure Beach and the N.C. Maritime Museum in Southport are all looking for volunteers to help them beautify their properties, and they’ll all be providing free refreshments and t-shirts to anyone who lends a helping hand. The weekend wraps up Sunday when Tryon Palace in New Bern will host the Eastern North Carolina Bridal Show. This weekend is also your first chance to check out a new exhibition at SECCA in Winston-Salem that explores humor through sculpture. North Carolina is also home to three great book and film festivals this weekend. The N.C. Literary Festival in Raleigh, Full Frame Documentary Film Festival in Durham and RiverRun International Film Festival in Winston-Salem are all sure to delight. A new art exhibition in Winston-Salem, film screenings in Raleigh and concerts of music inspired by the U.S. Open around the state are just a few of the opportunities for family fun you can find this weekend with the N.C. Department of Cultural Resources. The weekend fun starts Thursday when the N.C. Museum of History in Raleigh will encourage kids to explore its galleries after reading them the story Wilma Unlimited: How Wilma Rudolph Became the World’s Fastest Woman, and Tryon Palace in New Bern hosts Dr. Mellen Charron to tell the story of civil rights activist Septima Clark in a program that is part performance art and part lecture. Friday, the fun continues at the Museum of the Albemarle, where kids and their parents can create a fun piece of art that will go on display as part of Elizabeth City’s First Friday Art Walk. In Raleigh, the N.C. Museum of Art will screen the classic Sunset Boulevard and offer visitors the chance to explore its galleries at night against the backdrop of some awesome live music from Raleigh’s own Sidecar Social Club. The next morning the N.C. Museum of Art will offer an engaging hands-on geometric craft and tour for kids and families, as the galleries at its sister museum, the Southeastern Center for Contemporary Art (SECCA), come alive with a new exhibition of paintings by Jennifer Meanley in Winston-Salem. Also, Saturday, the N.C. Maritime Museum in Southport will put on another installment of its popular bicycle tours, while walls of historic House Chamber of the State Capitol in Raleigh will reverberate with classic soul and gospel style of the Gospel Jubilators. The weekend wraps up Sunday when the N.C. Museum of History in Raleigh will screen the Watergate thriller Frost/Nixon. Throughout the weekend, the N.C. Symphony will play concerts of the stirring Sketches from Pinehurst in Sanford, Raleigh and Southern Pines. The piece is an original composition by long-time Symphony trombonist Terry Mizesko.